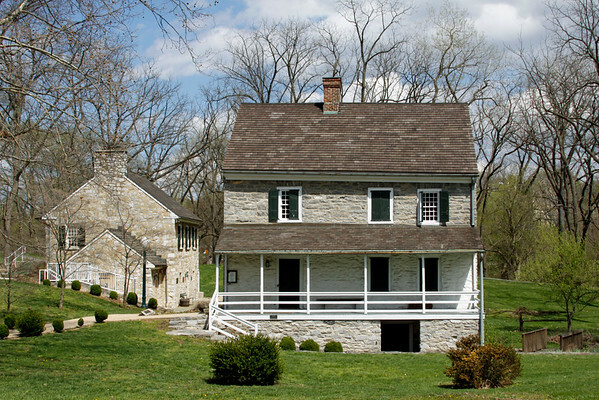 The Hager House is a two-story stone house in Hagerstown, Maryland, United States that dates to circa 1740. The house was built by Jonathan Hager, a German immigrant from Westphalia, who founded Hagerstown. The basement contains two spring-fed pools of water, providing a secure water source. Hager sold the property, then known as Hager's Fancy to Jacob Rohrer. The house remained in the Rohrer family until 1944, when it was acquired by the Washington County Historical Society. The restored house was given to the City of Hagerstown in 1954 and opened to the public in 1962 as a historic house museum.